Welcome to Northside Art Association! Our members have some of the most amazing art in the St Louis Metropolitan area! ​ to win this fantastic Still Life Collage! ​Congratulations to Melanie Priest on winning Best of Show at the 2018 Hazelwood Art Fair! ​We had a really strong showing of Northside members at the Hazelwood Art Fair! 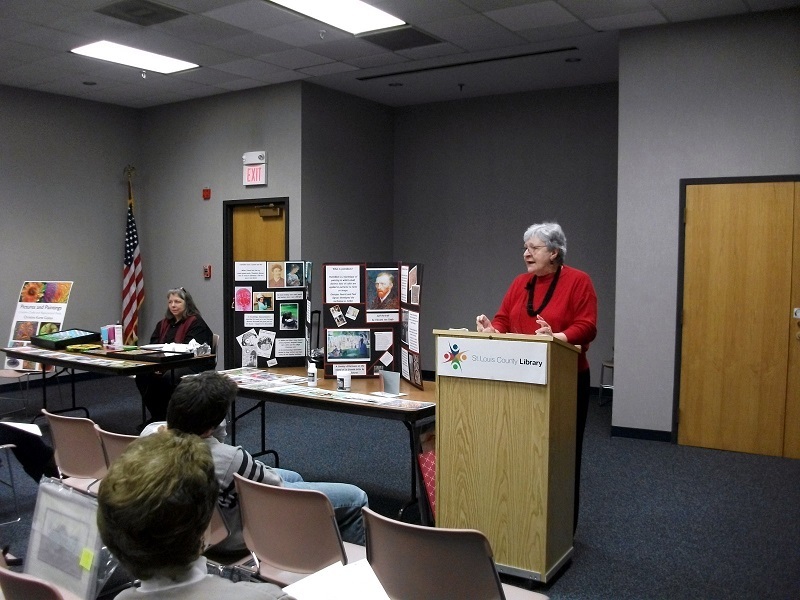 Maggie Bauman (3rd place abstracts), Diane Crowder (3rd place Portraits), Christine Fischer, Joyce Latham (3rd Place and HM), Dee Dellerman (HM), Don Dellerman (HM), Nora Schomogy, Joe Lisciotti, Jim Bennet and Rachel Bennett. Northside welcomes new member, Diane Carder! Northside welsomes new member, Ginger Repke! Northside welcomes new member Peggy Cole! Northside welcomes new member, Joe Lisciotti! What a nice surprise to have Florissant's Mayor, Tom Schneider, stop by our reception and holiday party. An added bonus was having his help awarding ribbons! Click here to see more photos from the holiday party and reception. 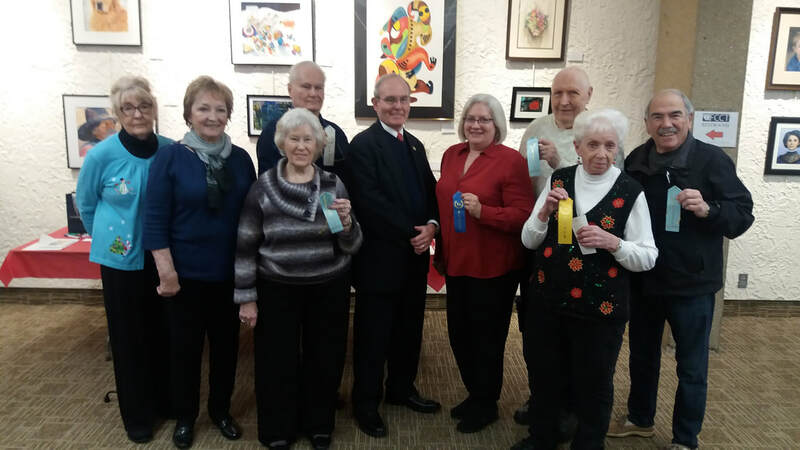 Christine Fischer (HM), Gerry Knobbe (HM), Dee Dellerman (HM), Don Dellerman (3rd Place), Mayor Tom Schneider, Melanie Priest (1st Place), Charles Meier (HM), Joyce Latham (4th Place) and Joe Lisciotti (HM).